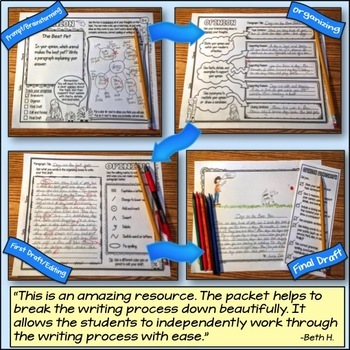 Minds in Bloom is pleased to welcome Erin from Creative Teacher’s Classroom to the blog today! Erin is sharing an excellent post that outlines five steps to running a successful Socratic seminar in your classroom. As a gifted intervention specialist, I began experimenting with Socratic seminars as a way to get my students deeper into the novel we were reading. However, I never felt like I was doing it correctly. Was I jumping in too much or not facilitating enough? Should my questions be harder? What if everyone agreed? After reading a book on Socratic seminars and diving into a bunch of different resources, I finally feel confident that I’m making the most of this strategy. 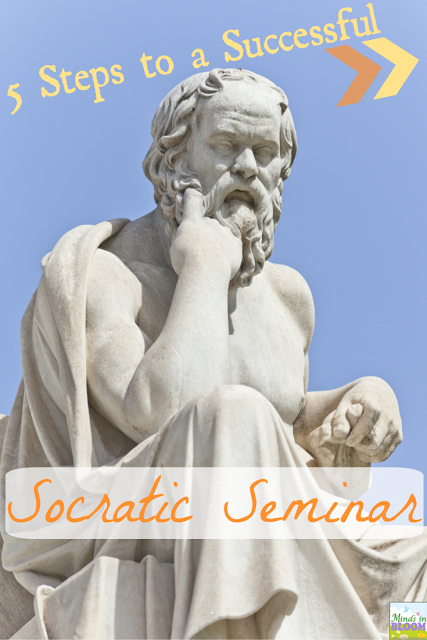 Here are five steps that will help you have a successful Socratic Seminar. The purpose of Socratic seminars is to use evidence to support interpretations of a text. If you give your students too large of a text, then they won’t be able to read the entire thing closely enough to feel comfortable using it for support. Many resources will tell you not to use a novel for that very reason. That being said – I have used Socratic seminars as a culmination to a novel study and have found the results to be great. Even though we were using an entire novel, since we had already studied it as a class, the students were comfortable and knowledgeable about the text. Nervous about using a novel? Poetry is a great way to start out with a Socratic seminar. Poems offer enough variety in interpretation to have a meaningful discussion without having an overwhelming amount of text. Socratic Seminars are based on critical thinking, and when students are put on the spot, they can’t delve as deeply as they would like into a given topic. I recommend giving students, at the very least, 24 hours to prepare for a Socratic seminar. The first time I used one, I didn’t tell the students what they would be discussing. Sure, they knew the discussion would be based on our novel, but I didn’t want to give them any more information than that. The resulting seminar was a flop, as students spent more time flipping through the book searching for “that one part” than actually discussing. Looking back, I’m not sure what I was trying to prove. Was I trying to trick them? To play a “gotcha” game? 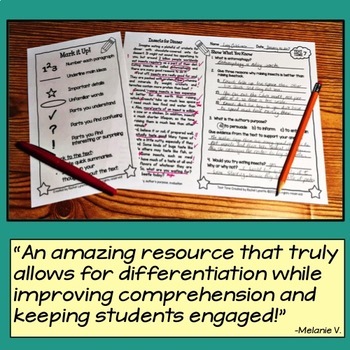 In the end the best discussions are when students feel confident, and allowing them to prepare is key. 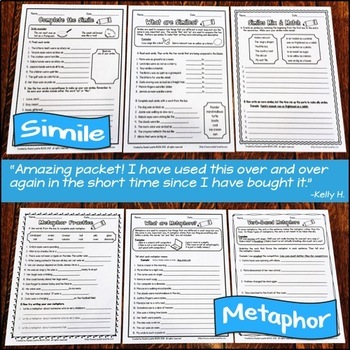 Encourage them to annotate the text and stick Post-Its all through their novel. Remind them that the more evidence they have, the more in-depth their discussion will be. I like to give my students a handout with questions at least one day in advance. I used to give my students a litany of questions, and during the discussion I always made sure to focus on each question. However, I found that the students did not prepare as thoroughly as they could have if they’d been given fewer questions, and I was constantly cutting discussions short in order to hit all of the questions. 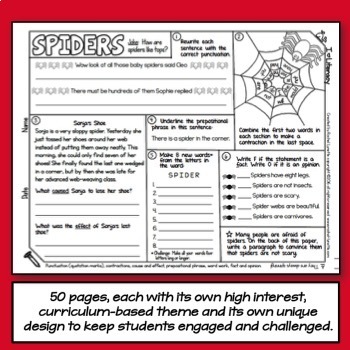 When I start the discussion, I have the students begin by sharing their answers to one or all of the first questions. They often feel more confident sharing their answers to these questions, and by building their confidence, they are more willing to share their answers to the tougher questions when I introduce those later. 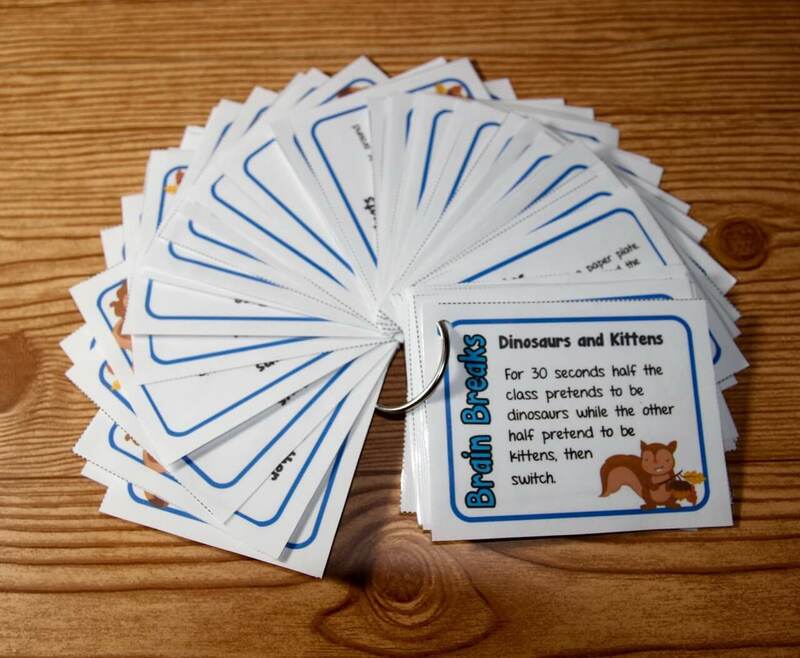 Check out my Teachers Pay Teachers store for an example of some questions I used for a Socratic seminar on The Westing Game. 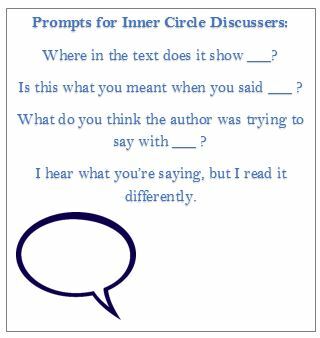 The basic format to a Socratic seminar is having students divided into two groups and sitting in two circles – an inner circle and an outer circle. The inner circle represents the speakers. These are the students who discuss the questions. The outer circle students are the recorders. These people silently record notes on the inner circle speakers. After a certain amount of time, both circles switch so that all students have had a chance being in each circle. I have found that it is helpful to follow this set-up because it lets more people participate. Students are more willing to jump into the discussion when they are part of the smaller, inner circle rather than the entire class. 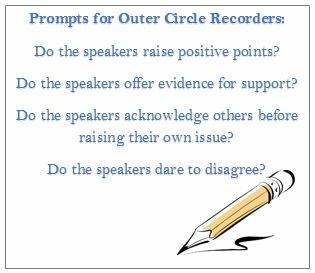 Also, having an outer circle recording observations helps speakers be more conscious of their participation. I find they try extra hard to not just participate but to participate in a meaningful way. After all, they love to hear positive feedback when the discussion is over and the outer circle gets to share their comments. Teachers love to explain things – it’s why we’re in this profession in the first place! When your students are discussing an issue, sometimes they miss an important detail or come to an illogical conclusion. Just let that happen. As hard as it may be to sit there and listen as they pass over an important symbol or fail to question another classmate’s self-contradiction, you have to remember that you are merely a facilitator. Your role is to (1) introduce new questions when the discussion starts to lag and (2) let students know when to wrap up their discussion. Your role is NOT to add your own thoughts – this is a mainly student-led method. In the end, Socratic seminars take practice. Don’t worry if the first time you use it, you feel like it didn’t go as you imagined. It is a process for both you and your students. 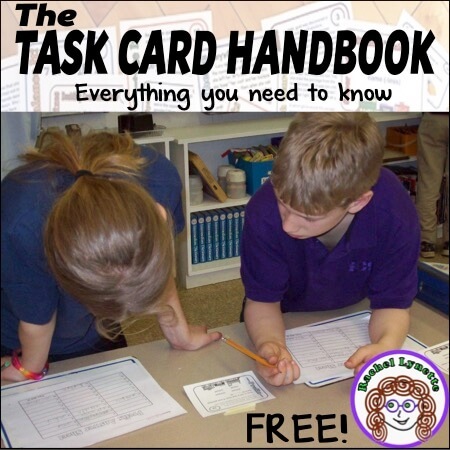 The more times you use one, the more confident students will feel with asking each other questions, using evidence to support their points, and disagreeing with each other. 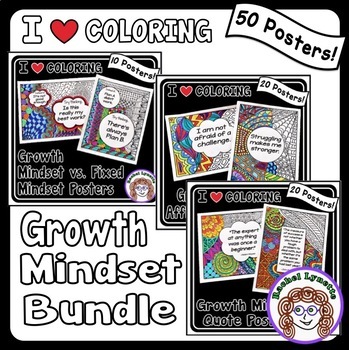 Over time you will see your students grow not just as academics but as critical thinkers, too. 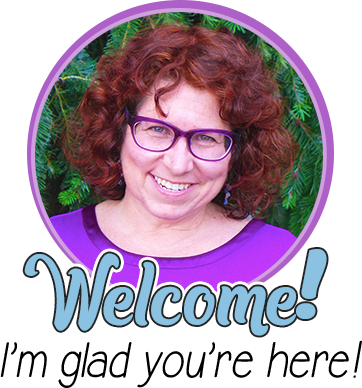 Erin Vanek is a gifted intervention specialist with 10 years of experience in the education world. She has done everything from tutoring middle-school students in Spanish to teaching AP English to seniors. 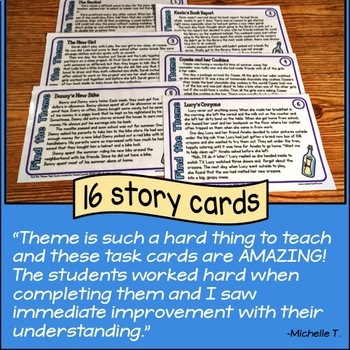 No matter what she is teaching, she is always looking for creative ways to make her lessons meaningful to her students. 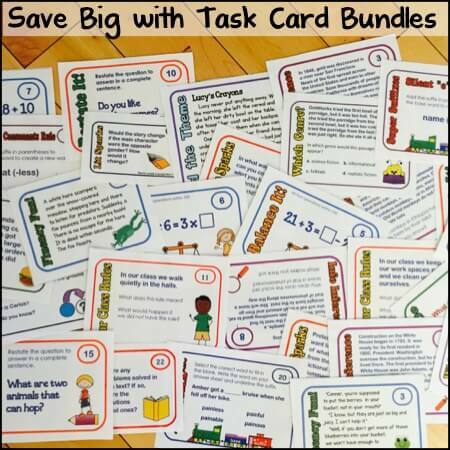 Follow her blog, Creative Teacher’s Classroom, for ideas on how to teach outside the box! Also, check out her store on Teachers Pay Teachers. 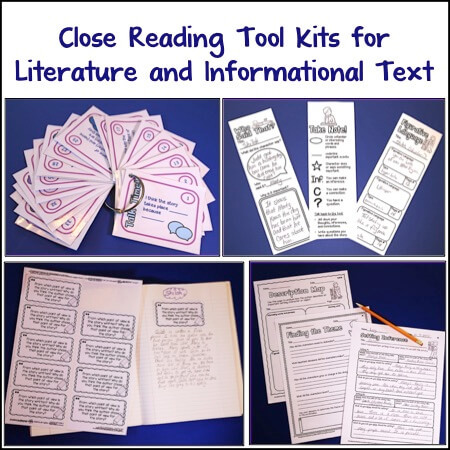 Maximizing Time with Mentor Texts Close Reading for Literature (Fiction) plus a Freebie! 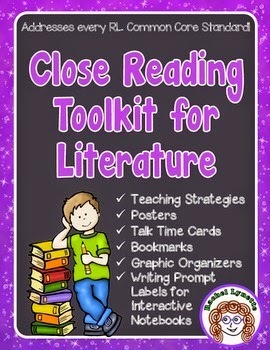 12 Tips for Implementing Close Reading Learning to Retell, Relate & Reflect Using Verbal & Written Responses It’s a Mystery to Me! Thank you fir the explanation above! How long should Socratic Seminar last?